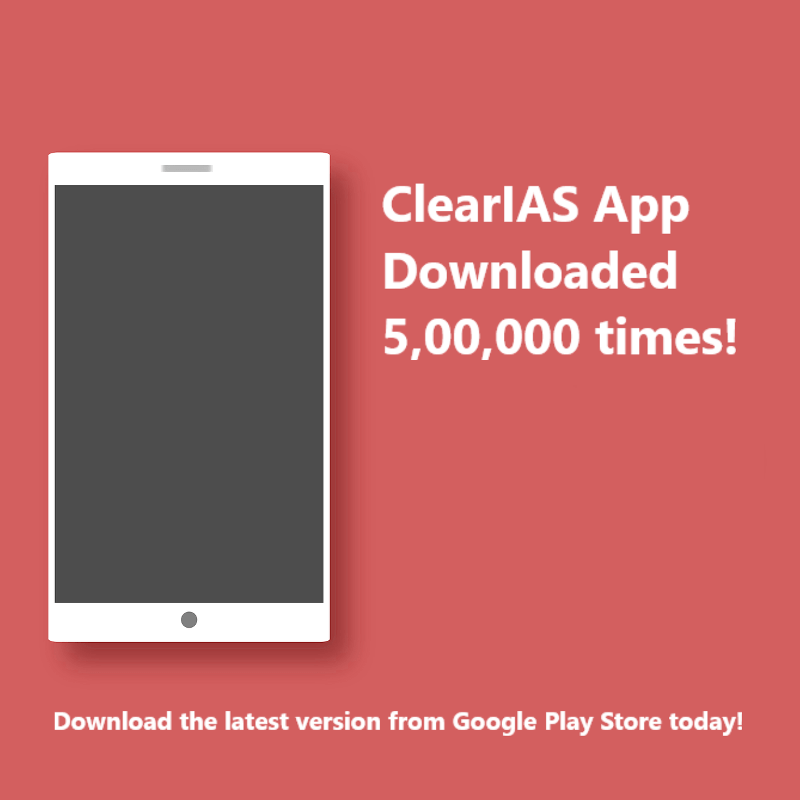 ClearIAS App Crosses 5,00,000 Downloads on Google Play Store! 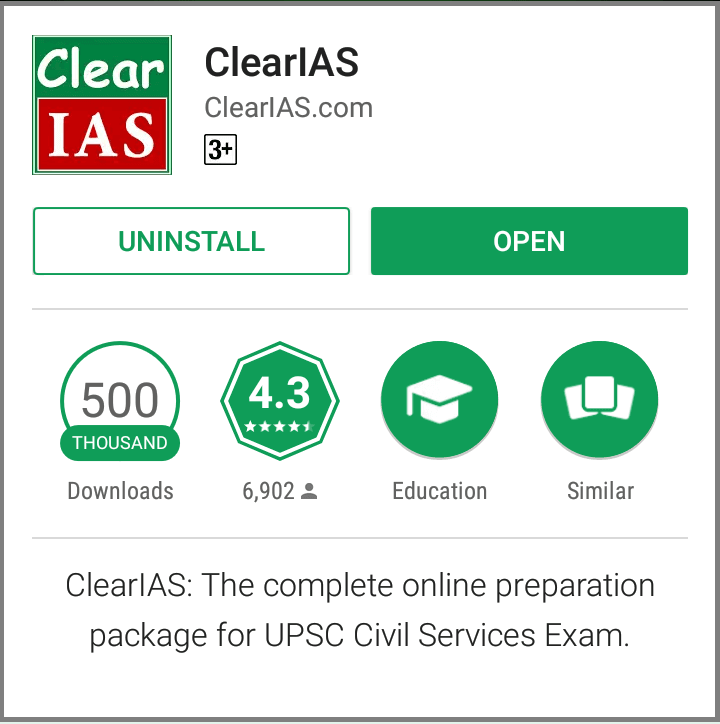 ClearIAS, the self-study app for IAS exam preparation, has crossed 5,00,000 downloads on Google Play Store. Probably, ClearIAS is the most downloaded app, dedicated to the field of UPSC Civil Services Exam preparation. Please accept our sincere thanks and gratitude for your love and support! It was truly our pleasure to serve you. 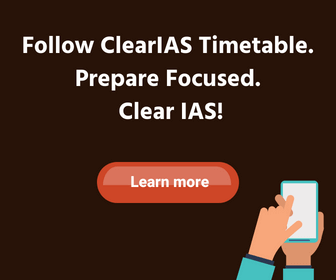 ClearIAS App – Revolutionizing the way aspirants prepare for IAS! As pioneers in online IAS exam preparation field, we feel proud to have revolutionized the way aspirants prepare for UPSC CSE. Our mission is to make IAS exam preparation affordable and accessible to millions in the country. Many users who don’t have access to classroom coaching use the app as a comprehensive self-study package for UPSC Civil Services exam. There are a lot of study materials and guidance articles available for free at the fingertips of aspirants. Currently, the only service for which we charge users is ClearIAS Prelims Mock Tests – that too only an affordable fee. ClearIAS.com website: ClearIAS.com is one of the first dedicated websites for IAS exam online preparation. Launched in 2012. Now receiving about 15,00,000-20,00,000 page views per month. USP: Our easy-to-learn study materials, individual topic-analysis, and no-over-supply of study materials. 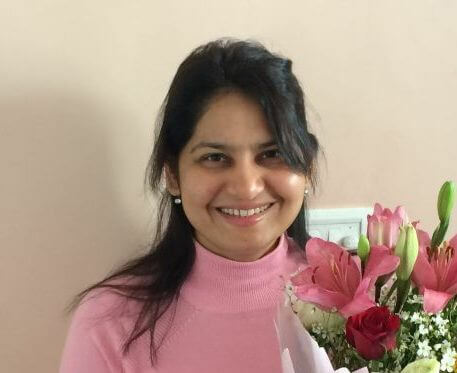 ClearIAS Mock Test Platform: With more than 1,00,000 registered aspirants, 40+ mock exams, and 4,000+ questions, ClearIAS Mock Test Platform is one of India’s largest mock test platform for a single exam. ClearIAS Android App: Simple User Interface. All-in-One package for online IAS exam preparation. ClearIAS iPhone App: Apart from the Android version which now reached 5,00,000 installs, there is also an iOS version for Apple users. We need your 5-stars and positive reviews! If you are using a previous version of ClearIAS app, upgrade now to the latest version. And, if you benefited from ClearIAS – in terms of guidance, knowledge, mock exams, study materials, job selections etc – don’t forget to give your valuable 5-star ratings to us. This helps us in reaching more deserving candidates like you. Click here to rate us. Thank you!